It's been ages since I've sat down and done a chatty life update post so I took the opportunity to make some changes and start this series fresh. I really hope you enjoy reading about what I've been up to and my lifestyle favourites! Where do I start with what I've been up to?! Summer was one long, amazing holiday and I'm so lucky to have had the opportunity to do all the things I did (catch up on my adventures by browsing the Travel tag). However it's sadly back to real life now! If you follow me on social media you're probably already aware that I recently made a big move from Manchester to Woking. I'd always known that my graduate scheme would be a year in Manchester and a year in a place called Liphook where my company randomly has an office. However it's come round fast! Obviously the cost of living is high and the commute is effort, plus (especially as someone who can't drive) it's annoying not to have everything that Manchester had to offer in terms of food, drink, shopping and things to do on my doorstep. However I'm enjoying it so much more than I ever expected to; I'm comfortable and happy in the house I live in and Woking has most of the basic amenities I need, plus I'm really loving the work and my colleagues down here. There are a few of us that seem to live around the same sort of way because we aren't originally from the area so I'm not isolated down here like I thought I might be. I guess when you have low expectations it isn't hard to exceed them! One thing I'm not enjoying is getting back into studying; as regular readers of these kinds of posts will know, I'm currently working towards professional qualifications alongside the day job, which as graduates we are expected to do in 2-3 years (as opposed to the average of 6-10 years for everyone else). As you can imagine it's a lot of pressure (in addition to this there are internal exams I have to do!) - it's one thing to study at university and have a part time job and another thing to be doing a 9-5 plus trying to go above and beyond alongside studying. However I'm around about halfway through and by the time we're at the other side of Christmas the end will be in sight! You may have noticed I've cut down to 3 posts a week instead of 4. This was originally for the same reason as I did in April: exams! However I think I'm going to make the change permanent. I've been trying to write a book for years and have just never had the time to dedicate to it, however over the past few months I've been back into writing in a big way. Blogging has really helped me and made me more comfortable with other people seeing my work, as well as showing me I can see something through, however I think it's time to scale it back slightly to give me more time to dedicate to my book. I hope you can understand! I obviously still love blogging so much (or I wouldn't be doing it) and that's almost why I'm cutting back; so I can keep loving it without feeling I have to put other important things on hold to continue putting out loads of content. You can check out my updated schedule here but the main gist of it is that I'll be doing 2 beauty posts a week (one that's quite general and one more focussed post like a product review) and then 1 post will either be lifestyle-related or on skincare (or very occasionally this might be a fashion post). I recently watched the whole of Fleabag in about one day! It's a 6-part BBC 3 series of half an hour episodes so you can get through it quickly and easily. I wouldn't have picked this out to watch in iPlayer myself because the name's a little bit random and doesn't really represent what the show is about! However I was recommended this and am really glad I checked it out. I've since heard people say it's like a 2010s version of Bridget Jones' Diary, which I can totally see! It's quite rude, honest and blunt whilst being totally hilarious. Despite being an 'outrageous' comedy it's also quite touching and poignant. I've been seriously into true crime and crime drama recently; I just find it so intriguing and addictive! Recently I really got into The Night Of, based on Criminal Justice (which was on the BBC a few years back but I never saw it). It kind of unfolds like a whodunnit as the main character (played by Riz Ahmed - who is amazing in this and deserves all the awards! ), an unassuming student, uncharacteristically goes home with a mysterious girl who he finds stabbed to death the next morning and he can't remember anything. It really delves into criminal justice system and explores what it can do to a person. If you're looking for a show where you find out exactly what happened to the murder victim and how, then this isn't for you, but if you like the ambiguity and are looking for more of a character study then this is a must-watch! A million miles away from the slick HBO production, I also recently watched The Murder of Sadie Hartley. Unbelievably this documentary catches every single moment of a murder investigation; by chance a police force in Lancashire received a call whilst they were being filmed. I've honestly never seen anything like it on British television; you get everything from them sitting and working out the suspect's journey, to banging their door down at 3am to bring them in, to when they're formally charged. The detectives involved did a fantastic job on the case and you get to see all of it as it unfolds. In terms of books, I've had two on the go this past month or so (which I generally try to avoid!) The first is The Autobiography of Malcolm X - with everything that is happening in the US at the moment it certainly has newfound significance, so I'd recommend reading this now if you haven't already. The book starts with a foreword by Alex Haley (the author of Roots) who followed Malcolm X for years to record his life and the rest of the book is his life in his own words. I'm coming up to 2/3s of the way in, however at this stage Malcolm X has already told such a varied story that if someone wrote a television script with of these things happening to one person, the channel bosses would tell them it was unrealistic. As well as the broad themes there are little details and moments from his life that all help you understand how he came to be the Malcolm X we've all heard of. It's honestly fascinating and an amazing read that I highly recommend. The second book I'm reading is very different: Sapiens. A friend of mine has been telling me I should read it every time we've got into deep philosophical conversations for the last year, so I finally got it on my Kindle! It charts the story of Homo Sapiens from when we were just one of several human species (which is barely comprehensible to us now), to us becoming domesticated and forming societies, and into the future. I have heard the section relating to the future state of Sapiens is not as good as the rest of the book however I'm currently fascinated by everything that I'm reading. The book talks about hunter gatherer Sapiens, how we came to be farmers and how humans changed the biology of every environment they came into contact with, in a way that's easy to understand and almost narrative in its structure. 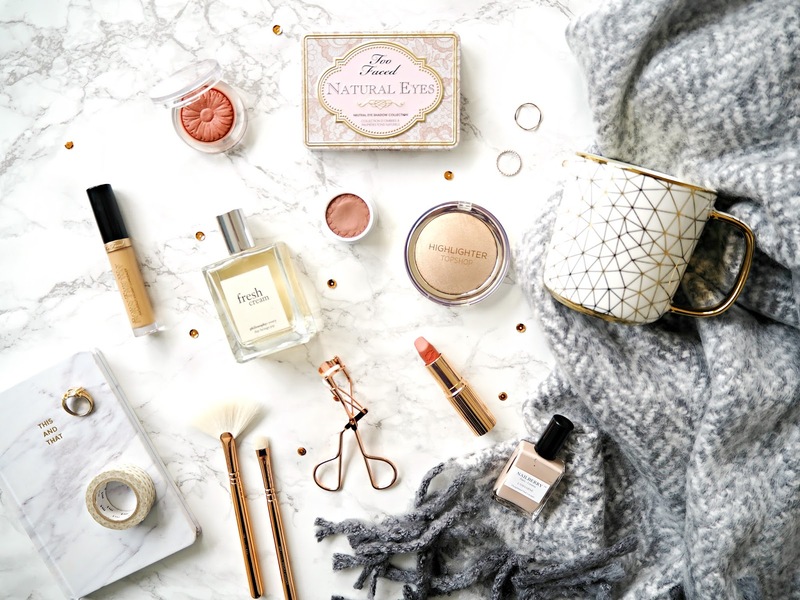 I rarely seem to discover new YouTubers and tend to stick to my Subscription Box however this month I have an impressive two new beauty gurus to add to my list of favourites! I recently discovered Nikkia Joy through her video on How to Stop Foundation Rubbing Off Your Nose. I often find 'hack' videos either don't work are are totally obvious things I already do, but I clicked on this because I have this exact issue. Her tips are really good and this worked so well for me that I can't wait to try her other tricks. I also found Jamie Paige through my recommendations; her videos are so helpful and thorough! She seems so sweet and humble as well as being really honest about the products she tries. I especially enjoyed her video on Kylie Cosmetics Kyshadow Palette Dupes. Which books and TV shows should I check out next? Lovely post! I'm really enjoying Jamie Paige's channel at the moment as well, her channel is so detailed and thorough and I love the fact that she always asks to her followers what they want to see next! The Night of sounds like an amazing series! I love crime drama more than anything, I'm currently watching "Conviction" with Hayley Atwell and Eddie Cahil, both are my favorite! I love shows about crime. The murder of Sadie Hartley was such an interesting documentary! The Murder of Sadie Hartley sounds so interesting! It reminds my of Making a Murderer, the Netflix documentary, have you watched it? So happy you are enjoying work and where you are living, it can be so hard moving somewhere you don't know. I live around 40 minutes from Manchester and go there all the time, I only live in a small city so im quite used to it. I love catch up posts like this and Its great to read that you are enjoying your work and where you're living! Also, good luck with writing your book - thats amazing! I really feel for you - I had to study for a professional qualification during my first four years of proper work as part of my graduate scheme, and it was awful. Working 40 hours a week is a hard enough learning curve after the lazy days of university, let alone having to go home and study too! I'll miss your extra post but you have to do what keeps you sane :) Best of luck! I loved this post, Jasmine. I had no idea you moved to Woking! Such an exciting challenge. I have had a lot of change in my life as well that as resulted in a lot less blogging, so I get where you are coming from. Actually I have a very similar post coming out tomorrow. That HBO Doc about Sadie Hartley sounds intriguing. I might have to find it to watch! Great post! A must - watch movie The Light Between Oceans! Check that out, it is an amazing movie! Amazing post, I absolutely love your photography! Ah that's so exciting about your book, good luck with writing it, I will have to cope with 3 doses of Jasmine a week! So pleased everything seems to be going well for you, even if it is super busy! You've reminded me about Serial, I really need to listen to that! Wow! You have some serious time management skills! I totally admire how to mange to do everything so well! Good luck with your book such a great achievement to work too. I'm currently watching The Night Of and I'm hooked! Glad someone else is watching it - none of my friends are interested in it! I'm currently catching up on it tonight!! I'm just starting my professional studying now - its super scary to start balancing study and work. Luckily it works out that I get nearly a day off a week for first-time sittings, though that still only covers less than half of the recommended hours. I've set myself a mini-challenge of trying to finish all the exams in two years (before the wedding!) and then I'll finish up my required CPD/training and qualify three years from now. Fingers crossed - do you have any tips for combining work and study? It's also important to realise it's ok to just work 9-5 when you're close to exams - obviously you don't want to leave work half-done but you'll burn out if you stay until 6 every night, if it takes you an hour to get home (say) and then you're doing 1-2 hours of study in the evening. Definitely allow yourself some breaks (like going for dinner with friends on a Saturday night if you've been studying all day) but also you've got to say no to things sometimes :( However it's short-term pain to achieve your goal as quickly as possible! Hope this helps! That mug is so cute, definitely allow yourself breaks though, over working yourself won't help! i think the night of hasn't been having much recognition as true detective, which is sad because i love both. and strangely i always cry whenever i finished any eps of the night of! have you seen the wire? it has some of the night of casts. it's pretty long and seem light at first but it's equally amazing. i'm currently addicted to hbo's westworld and last man standing! That book Sapiens sounds right up my alley. I'm actually at uni studying evolution and how it relates to people and that books is totally something I would be into. I've always loved those types of documentaries too. Congrats on your move and I'm glad you enjoy you're new home! Things always seem weird at first when you move to a new place and then you find all these gorgeous/great things in your new place.That's what I'm finding out myself right now! Hi Jasmine! Your blog looks beautiful! Have you read "A Little Life"? It's a really good book! Gosh your life seems really hectic at the moment! I'm glad your move went well! thanks for sharing :) its amazing how you can balance everything and still have an amazing blog! I love this post, it was lovely to read!